Below you fill find all funeral homes and cemeteries in or near Belton. Suburbs of Belton: Village of Loch Lloyd, Vlg Loch Loyd. Belton is also known as: Cass County / Belton city. Zip codes in the city: 64012. Some of the notable people born here have been: Tate Stevens (singer). It was reported on December 11th, 2018 that Tressa "Tree" Hernandez (Stella) perished in Belton, Missouri. Ms. Hernandez was 91 years old and was born in Columbia, UT. Send flowers to share your condolences and honor Tressa "Tree"'s life. It was noted on March 5th, 2018 that Shirley Blanchard (Lias) passed away in Belton, Missouri. Ms. Blanchard was 96 years old and was born in Hagerstown, MA. Send flowers to share your condolences and honor Shirley's life. It was disclosed by Peoria Journal Star on January 6th, 2018 that Asa G "Gene" Kizer passed on in Metamora, Illinois. Kizer was 86 years old and was born in Belton, MO. Send flowers to express your sorrow and honor Asa G "Gene"'s life. It was revealed on November 1st, 2017 that Lavone Marie Childrey (Morris) passed on in Belton, Missouri. Ms. Childrey was 78 years old and was born in Topeka, KS. Send flowers to express your sorrow and honor Lavone Marie's life. It was reported on January 11th, 2017 that Dorothy T Butterfield (Reed) perished in Belton, Missouri. Ms. Butterfield was 91 years old and was born in Belle Vernon, PA. Send flowers to share your condolences and honor Dorothy T's life. It was disclosed on October 6th, 2016 that Ronald Charles "Ron" Dillon passed on in Belton, Missouri. Dillon was 72 years old and was born in near Burr Oak, KS. Send flowers to express your sympathy and honor Ronald Charles "Ron"'s life. It was revealed on July 5th, 2016 that Dorothy Marie Shaff (Wooledge) perished in Delano, California. Ms. Shaff was 89 years old and was born in Belton, MO. Send flowers to express your sympathy and honor Dorothy Marie's life. It was reported on February 13th, 2016 that Leslie J "Sonny" Crow perished in Belton, Missouri. Crow was 73 years old and was born in Baker, MT. Send flowers to express your sorrow and honor Leslie J "Sonny"'s life. It was noted by Register Guard on January 19th, 2016 that Donald Luis Reynolds passed on in Springfield, Oregon. Reynolds was 84 years old and was born in Belton, MO. Send flowers to share your condolences and honor Donald Luis's life. It was revealed by San Diego Union-Tribune on September 30th, 2015 that John S Harrison died in Cambria, California. Harrison was 96 years old and was born in Belton, MO. Send flowers to share your condolences and honor John S's life. 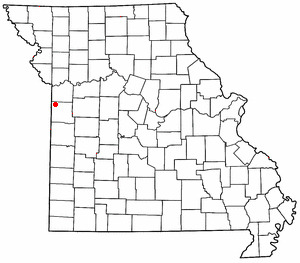 Belton is a city in Cass County, Missouri, near Kansas City, Missouri City. As of the 2000 census, the city had a population of 21,730. . . . The official website for the city of Belton is http://www.belton.org. Find BBB Accredited Funeral Directors near Belton, MO - your guide to trusted Belton, MO Funeral Directors, recommended and BBB Accredited businesses. Listing for Belton Cemetary in Belton, Missouri, which deals with funerals and cremation. Belton Funeral planning made easy! Learn how to pre-plan your funeral in Belton, Missouri, including step-by-step directions. We work with local florists and flower shops to offer same day delivery. You will find budget sympathy flowers in Belton here. Our funeral flowers are cheap in price but not in value.